Boulder County, Colo. - Understanding about poverty in our community will make a difference in how you react to it. 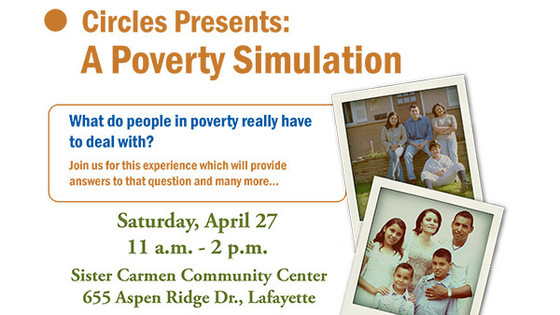 To help fill that knowledge gap, the Boulder County Circles Campaign is holding a Poverty Simulation on Saturday, April 27. Take three hours out of your weekend and learn what the working poor must deal with every day.